The weather is turning chilly and it’s time to break out the soup recipes! 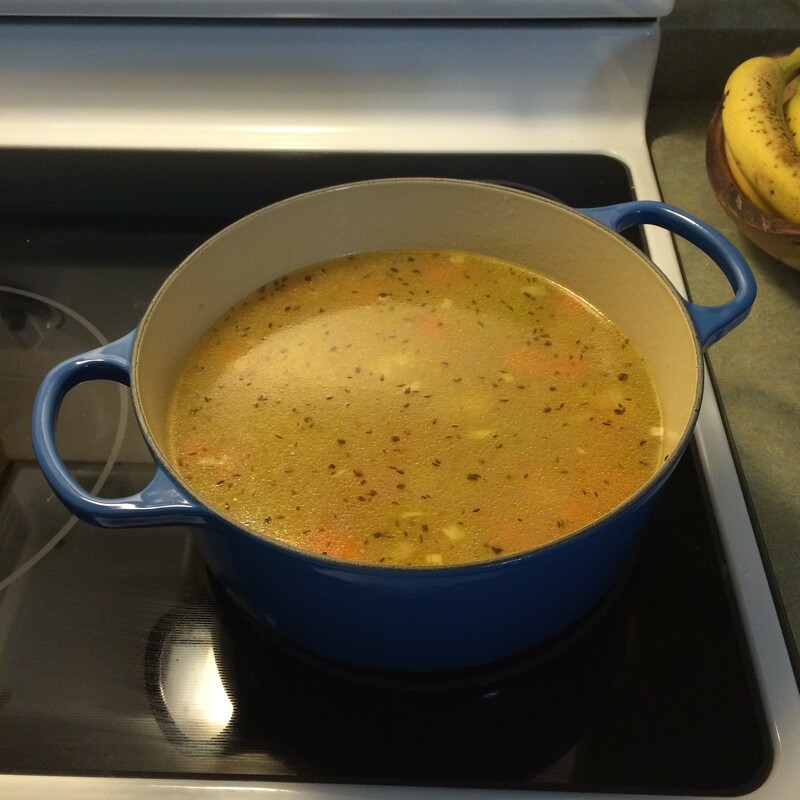 Keep your bellies warm and mouths watering with this delicious traditional German vegetable soup–a particular favorite of my mom’s. Slight changes: I only had small carrots and onions, so I used more. 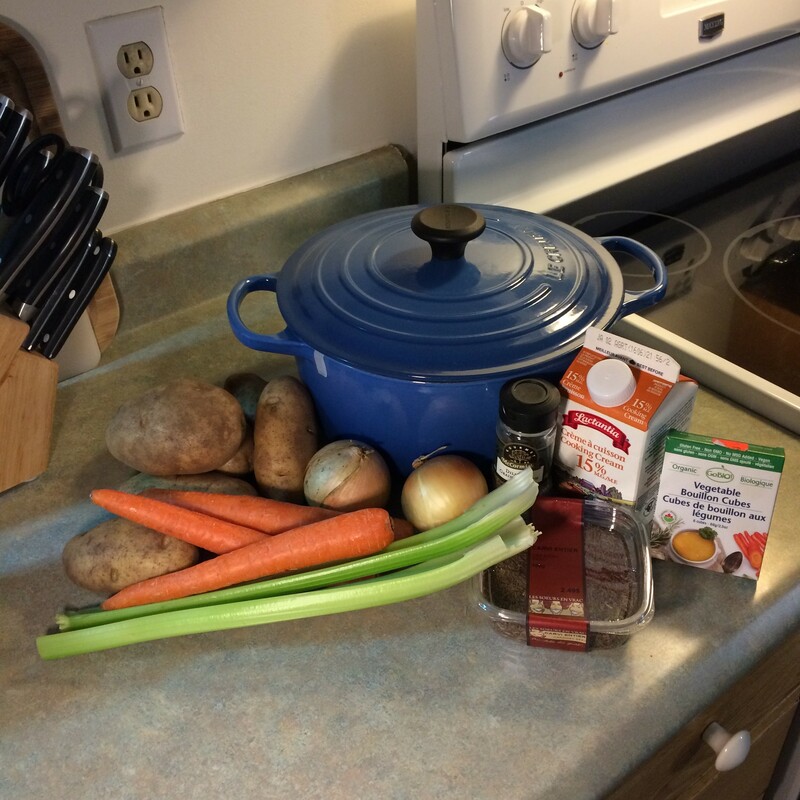 Grab a big soup pot (I like my trusty le Creuset). 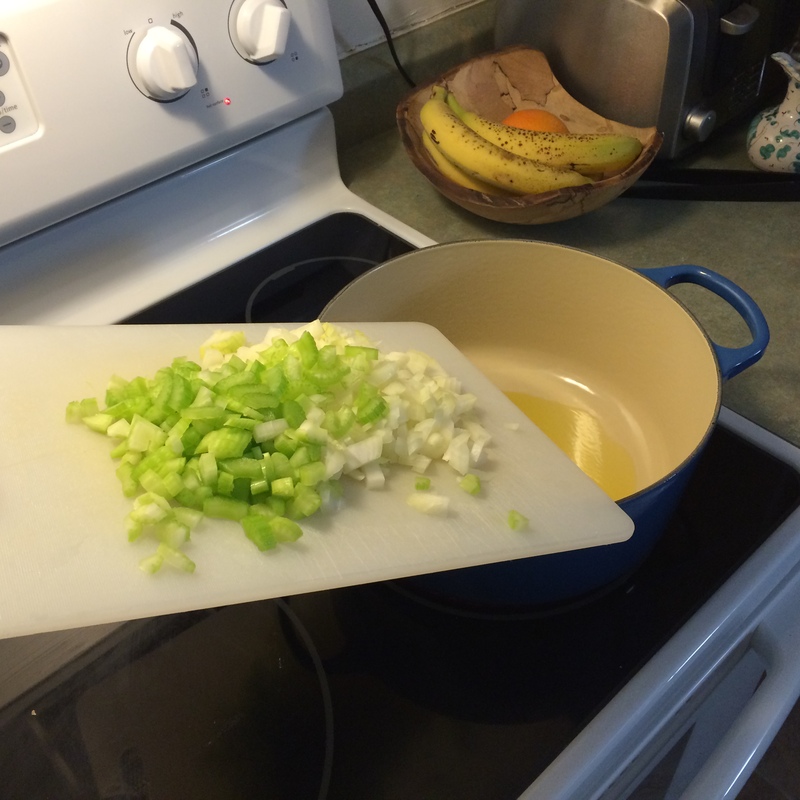 Heat some oil in your pot and sauté the onion and celery (I tend to use olive oil because that’s what Chico likes). Onion & celery go in! 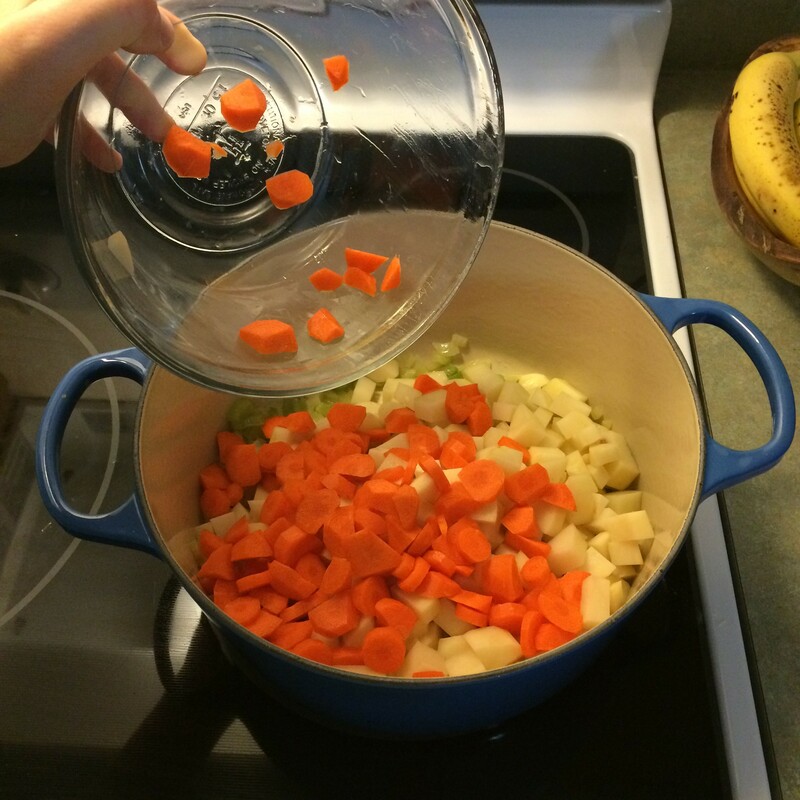 Meanwhile, peel and chop the potatoes and carrots into bite-size pieces. Once chopped, add them to the pot and sauté about a minute or two. Anyone else hate chopping carrots? Add the water & bouillon (or stock or broth, whatever you’ve got), dill seed and caraway seed. Bring to a boil and cook until the veggies are done (probably about 15 minutes–but check with a fork). Mmmmm… The spices smell wonderful. Add cream to taste. I like to add enough to make it a bit milky-looking. Fun tip: If you want an even creamier consistency, but still like to have chunks in your soup, transfer half the soup to a large bowl. 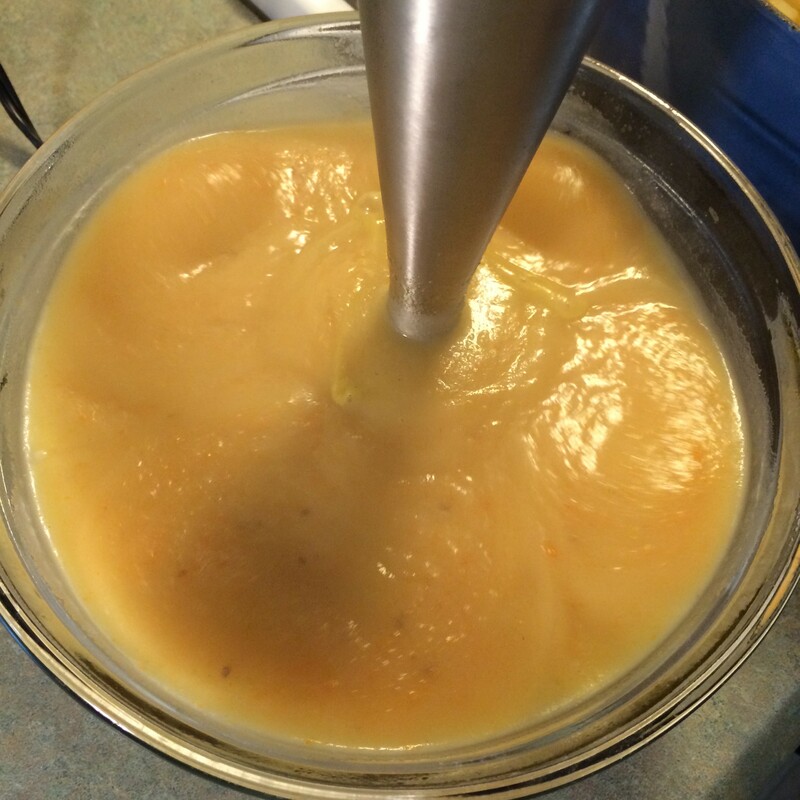 Using an immersion blender, whizz it until it’s nice and smooth, then transfer back to the main soup pot. 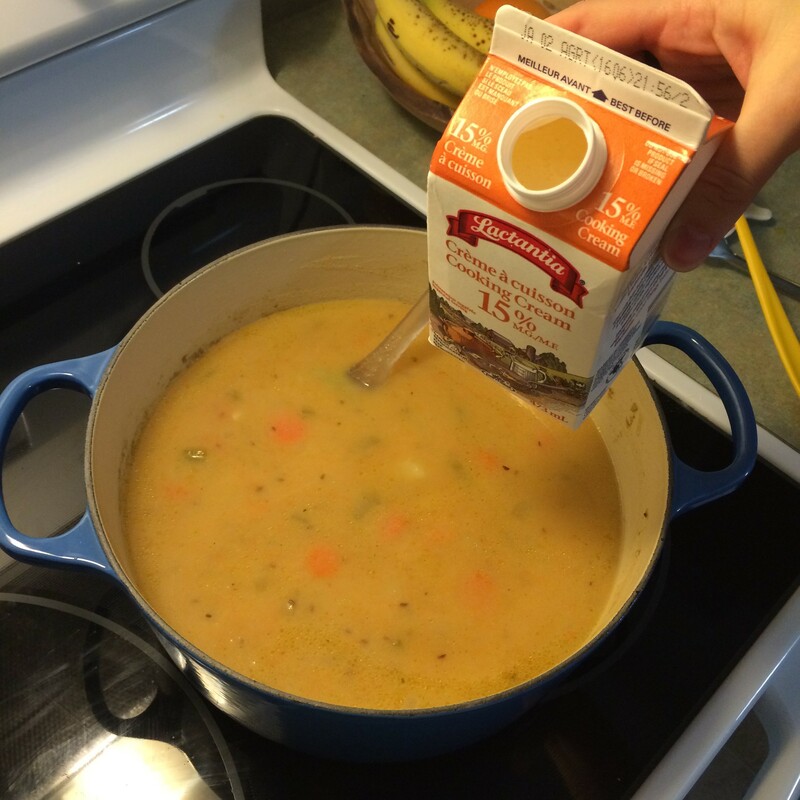 Blending half the soup makes its texture even creamier. Voilà! You’ve got a nice creamy soup with some chunky texture.